The moment a crepe is flambéed, blue flames flicker and customers’ hearts begin to pound with excitement. 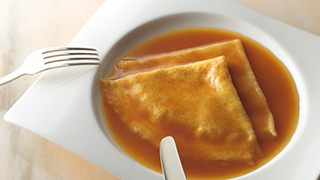 A crepe suzette is a sweet that will bring a smile to anyone’s face with a single bite. Our origin lies with a plate of desserts full of the happiness, joy and wonder that fascinated our founder. From now into the future, we will continue enriching lives, delivering delight and offering as many heart-pounding moments as possible through our sweets. We are SUZETTE Co., Ltd.
Our history began with Henri Charpentier, a little coffee shop that was born in Ashiya City, Hyogo Prefecture in 1969. At this little coffee shop, we flambéed crepes cooked lightly in orange juice using Grand Marnier. 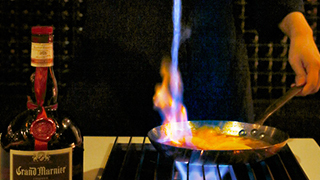 The flickering blue flames sent many of our customers’ hearts aflutter, lighting up their faces. Just one of our sweets could make anyone smile, bringing them joy. That powerful emotion became the reason for starting the company. It is also the unwavering origin of the sweets we make that remains no matter how the times may change. For us, making sweets means producing goods and creating enthralling events at the same time. No matter the place or the time, nothing calms us and makes us smile as easily as sweets. There is no generational, situational, linguistic or national border when it comes to enjoying sweets. We will continue developing new offerings and expanding our ideas for creating enthralling events through our sweets every day until we achieve our goal of becoming a universal brand loved throughout the world in 50 or 100 years. 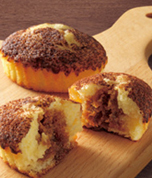 Founded in Ashiya City, Hyogo Prefecture in 1969, SUZETTE Co., Ltd. started operation as a coffee shop selling unbaked takeout cakes. 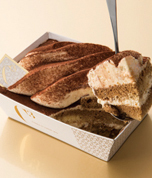 Today, the company makes and sells baked sweets and unbaked cakes and operates coffee shops under its two pastry brands, Henri Charpentier and C³ (pronounced “see cube”). 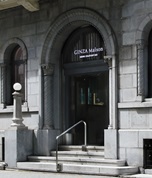 The company uses the former brand for its broad range of sales channels, including in department stores, and the latter brand for shops in or near train stations. Since its business foundation, SUZETTE Co., Ltd. has adopted an integrated in-house production system that covers operations from product planning to sales, among other advanced undertakings, such as brand building and the manufacture of sweets on an OEM basis. The company opened its first shop in Singapore in 2014 with the aim of transforming itself into a universal brand spreading Japanese pastry culture to other parts of Asia, Europe, North America and the rest of the world. 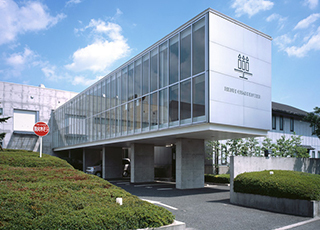 Henri Charpentier is a brand that evolved from a coffee shop in Ashiya City, Hyogo Prefecture. This brand is the origin of SUZETTE. 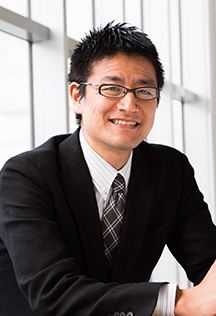 It commands a high level of customer support, mainly at department stores across Japan, with its unbaked takeout cakes and baked sweets for gifts. 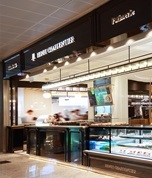 In addition to department stores, Henri Charpentier has a broad range of sales channels, including street-level stores centered on coffee shops, service sites for corporate customers and an overseas branch. 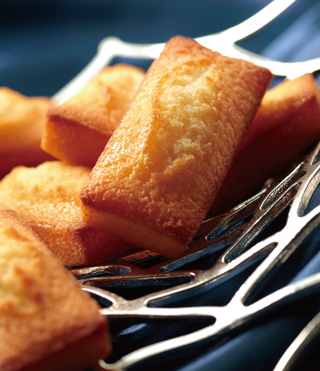 People think of financiers at the mention of Henri Charpentier. In April 2015, Henri Charpentier was recognized as the global leader in terms of the number of financiers sold. We will continue our efforts to make the best financiers in the world that no competitor can imitate, using only the finest ingredients. We are developing an original fermented butter so our customers can enjoy the faint aroma, refreshing sourness and full body of raw milk from carefully chosen milk producing areas. We grind two types of almonds, Marcona almonds, known as the “queen of almonds,” and aromatic fritz almonds, blending them in-house just before mixing them into the dough to bring out their aroma in the best way. Born in 1987, C³ (pronounced “see cube”) is a brand named after the three Cs – coffee, cheese and cacao. The brand goal is to realize the creation of sweets that everyone will want to taste and share with others each and every day, sweets always at people’s sides and that can bring happiness.